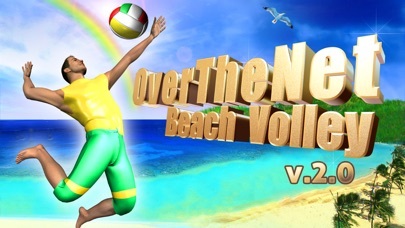 After the huge success of "Over The Net" arrived "Over The Net Beach Volleyball V2" with lots of news. You can play exciting games in the world's most beautiful beaches. 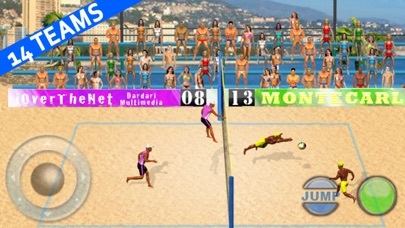 • "Single game" mode: you can choose your own team among 14 possibilities and one out of 11 beaches. 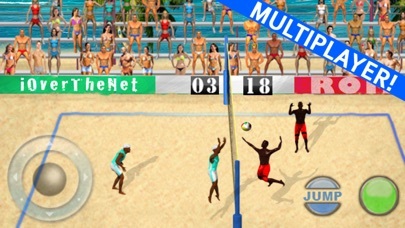 • "World tour": after you have chosen your team, you start a world competition in 11 different beaches playing with stronger and stronger teams. • ultra simple game mode: you play with just one button! • intermediate #1 game mode: the player moves automatically and you spike with the "swipe"
• professional mode: move the player with the PAD and spike doing the "swipe"
• Multiplayer Game Center: you can challenge other players around the world! • World Tournament: You will challenge you with all teams to become world champion! FOR ANY PROBLEM CONTACT THE SUPPORT.